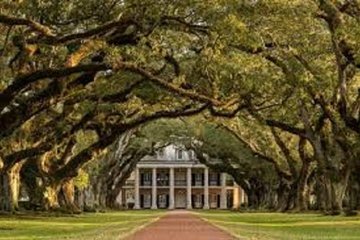 The scenic panorama of the Oak Alley Plantation was mesmerizing. The Tour guide took us back through his description and education of the time period along with the history of humanity. Bus Tour guide was clearly informative and funny. Appreciative in all aspects. Great transportation to a beautiful landmark! Andy was a fantastic guide/transporter too and from with extensive knowledge of the area. Oak Alley was beautiful and inspiring. I brought my daughter to New Orleans for her birthday and this was one of the highlights of our trip. The bus driver and the tour guide were very informative and pleasant. We enjoyed it very much.